Unabridged audiobook read by the author. Imagine after learning that your great-grandmother was arrested for murdering her husband, you set off on a quest across the globe-from Butte to Belfast to Belgium-to find out what happened. True detective story. Imagine while at a quiet family gathering, your aunt happens to mention a fire and a dead body and that your great-grandmother was arrested for murdering your great-grandfather. After you pick your jaw up off the floor, what do you do? Of course, you abandon your successful engineering career and go traipsing across the globe, from Butte to Belfast to Belgium, to find out what happened and write a book about it. That is what Christy Leskovar did. Her first book, One Night in a Bad Inn, a 2007 High Plains Book Award finalist, tells the true story of what she found out. 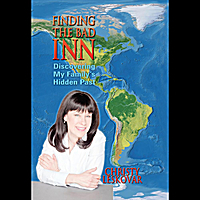 Finding the Bad Inn: Discovering My Family's Hidden Past is the true detective story behind how she discovered who started the fire, how the body ended up in the house, why her grandmother was sent to an orphanage when she wasn't an orphan, and what really happened when her grandfather saved that man in the war, and so much more.